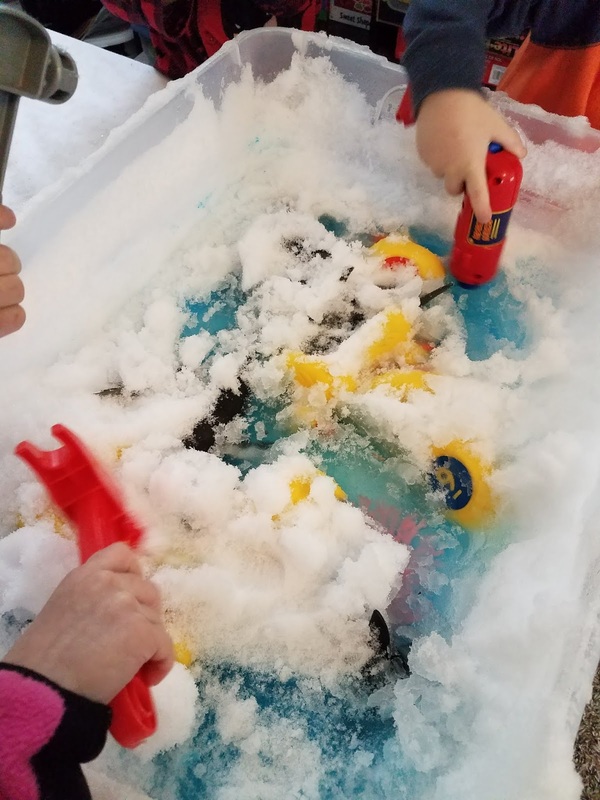 Trying to come up with activities for the middle of winter can get a little challenging, especially with as many snow days and all of the time inside we've had lately. Luckily I have a great group of daycare kiddies who are easily entertained just by simple toy rotations. They're great about making their own fun and playing games. 1.) 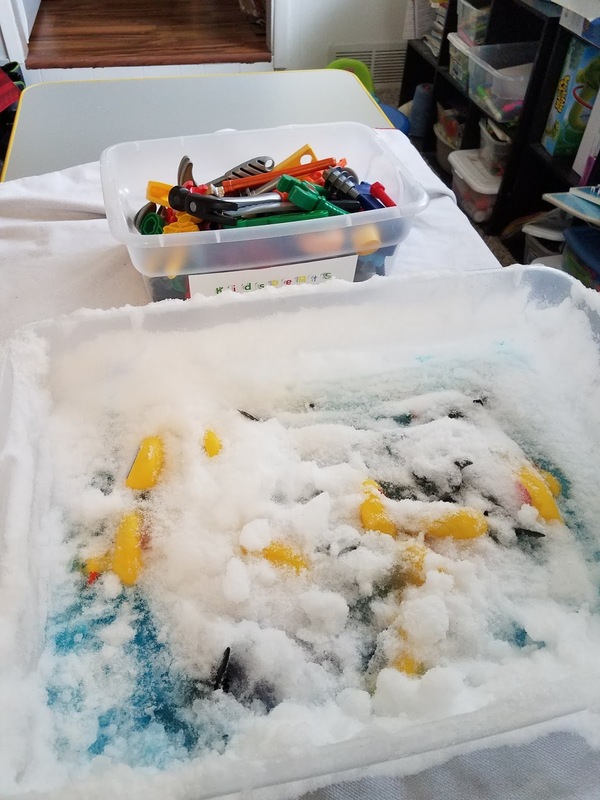 Leave your Polar Ice sensory bin outside and let it freeze. 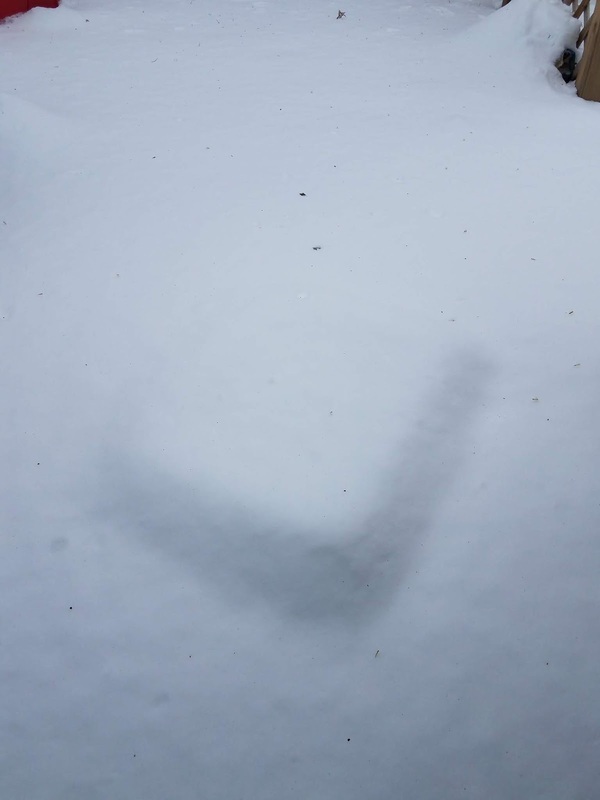 DON'T let it get buried in snow or you'll have to dig it out. Clearly I had issues with #1, but the rest of the steps went off without a hitch! The kids had a great time trying to break the toys free from the ice all day long. Seriously, it took all day for the ice to melt. 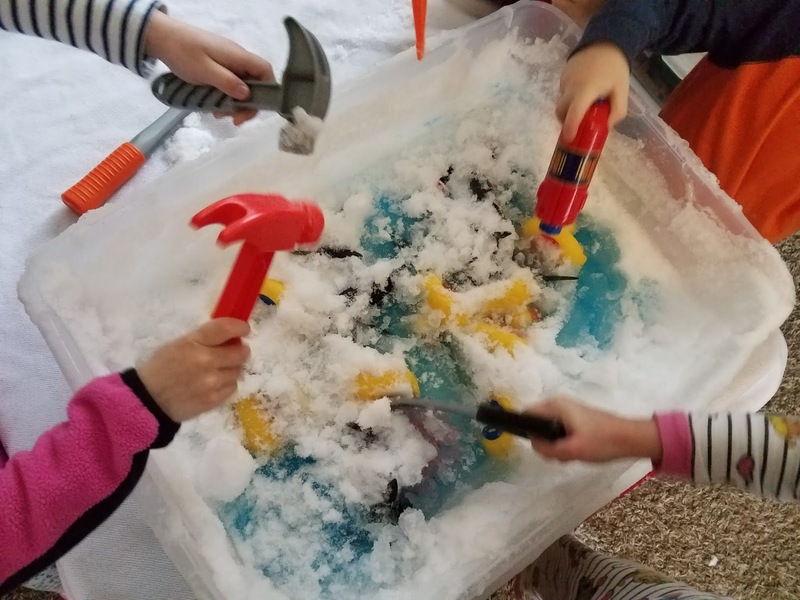 In the morning they used the play tools to break up the ice and try to free the toys. 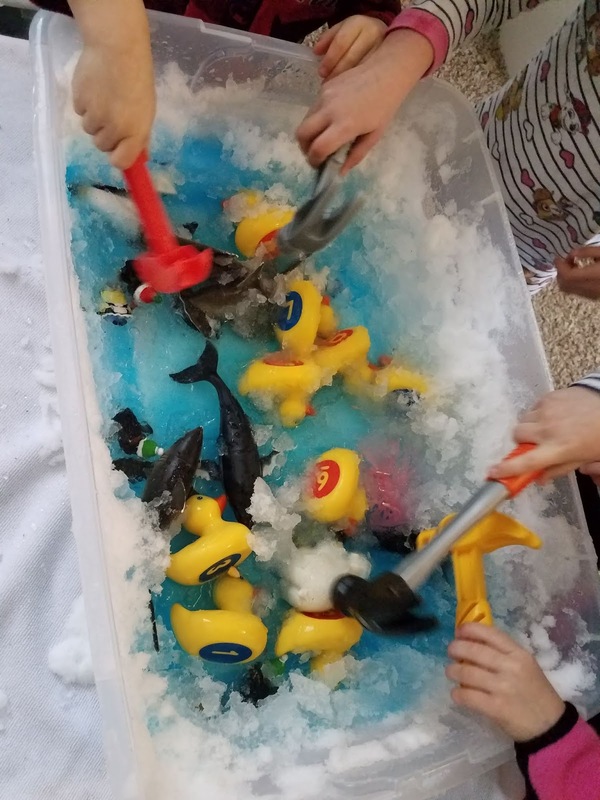 By the afternoon, the ice was a little thinner and they used their hands. 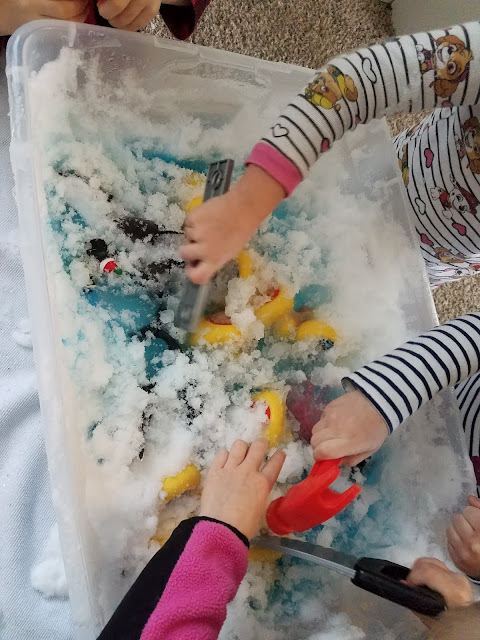 I did have to constantly remind them not to eat the ice and snow since the bin had been sitting outdoors for several days. 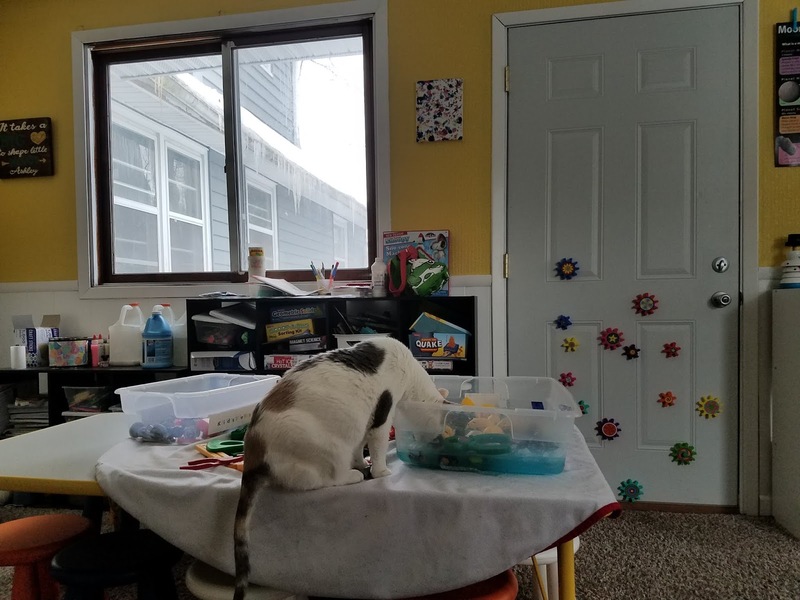 The cats enjoyed the melting sensory bin too. For such a simple (and low cost) activity, this encourage the kids to ask a lot of questions about winter weather and freezing temperatures.....and also using tools safely, but we have conversations about that often.